Kidnappers of the Parish Priest of Emmanuel Catholic Church in Aragba community, Okpe Local Government Area of Delta State, Rev. Fr. Christopher Ogaga, have reportedly demanded a ransom of N15 million for the cleric to breath the sweet air of freedom. Fr. 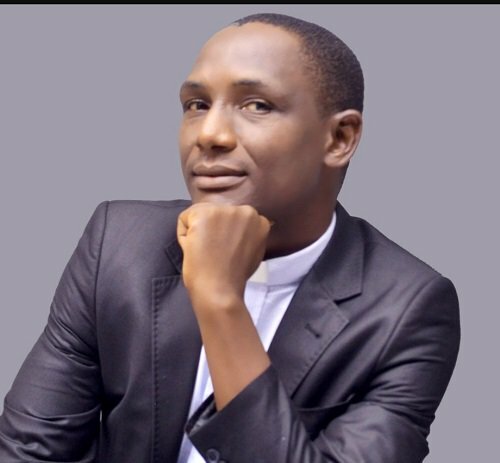 Ogaga who is also the Principal of St. Peter Claver College in neighbouring Aghalokpe town was said to have been kidnapped by unknown gunmen on Saturday along the Arava//Oviri-Orere-Okpe Road within Okpe locality while on his way to Warri to join his colleagues to officiate mass on Sunday at the Mother of Redeemer Catholic Church. A relative of the victim who confirmed the incident on Monday on the condition of anonymity, said the hoodlums have establish contact, and are demanding a princely N15 million as ransom to free him. The family said the cleric was driving alone when the arms wielding hoodlums struck and whisked him to unknown destination. Another source narrated that “Fr. Ogaga left the house and he was heading to Warri through Arava-Oviri-Orere-Okpe Road. That is the route he used to take to Warri. We are suspecting that he might have been kidnapped along this route. Although the Director of Communication, Catholic Diocese of Warri, Very Rev. Fr. Benedict Okutegbe could not be reached for official response, several catholic priests who do not want their names in print confirmed the development. The State Police Commissioner, Mustafa Muhammad also confirmed the development, adding that operatives had launched manhunt for the kidnappers.